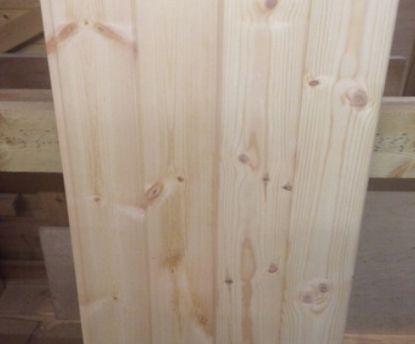 This is quite a knotty grade of timber which is used in our paint grade wooden garage doors and some of our wooden gates. It’s quite a reasonably priced timber which helps us to be competitive against other wooden garage door and gate manufacturers who use this timber. The majority of wooden garage doors and gates produced in this timber are stub mortise and tenon construction supplied untreated and ledges, braces and glazing bars etc will be square edge without any moulding.